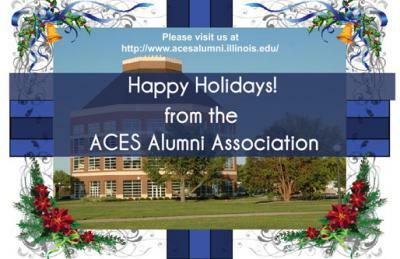 Click here for your holiday greeting from the ACES Alumni Association! We look forward to another great year in 2014! Headed to the Braggin Rights Game - Join us! Please join the College of ACES for a Pre-Game Party for complimentary hot and cold appetizers will be served and a cash bar will be provided at the Drury Inn in St. Louis before the Illinois vs. Missouri Braggin Rights Game! 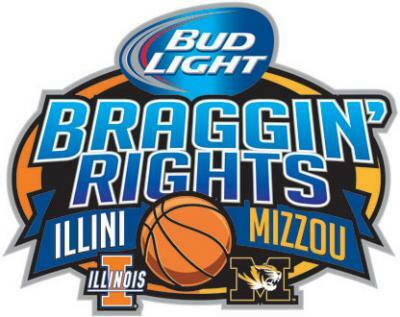 The Bud Light Braggin' Rights game is played in December every year in St. Louis between the University of Illinois Fighting Illini, and the University of Missouri Tigers. Lombardo's will be catering event. Looking to network with other ACES Alumni in the Chicagoland area? Join ACES students studying agribusiness issues as part of an Chicago agribusiness immersion program as we cheer on the Illini to a victory against Purdue! 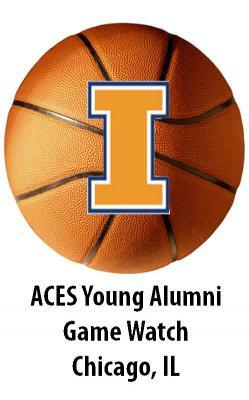 Wear your Orange and Blue and network with ACES students, faculty and alumni! GO ILLINI! Room: VIP Loft Lounge - With six flat screen TVs overlooking the clubhouse, you are are to not miss the Illini excitement as we take on Purdue! Parking: Valet parking is available in addition to a self- park lot directly across the street. Sponsored by the Department of Agricultural and Consumer Economics. 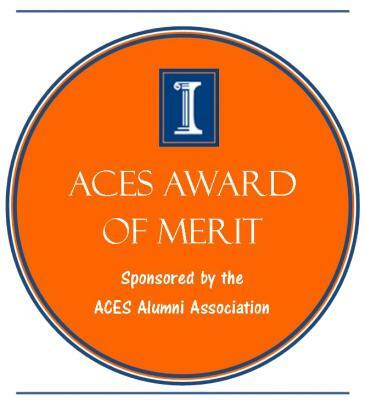 The 2014 ACES Award of Merit luncheon will be held on Monday, April 14, 2014 to recognize five outstanding alumni from the College of Agricultural, Consumer and Environmental Sciences. We hope you will join us to celebrate this special occasion as we celebrate their accomplishments and induct them in the ACES Round Barn Society. Past ACES Award of Merit winners will be introduced. All are invited to attend. Watch for more registration information to come. To see last year's recipients videos check out our YouTube Channel. Or view on the ACES Alumni awards page. or call the College of ACES at 217-333-9355. This special event benefits College of ACES scholarships and the hospitality management program. Attending or exhibiting at iLandscape in Schaumburg? Join us at this alumni event! 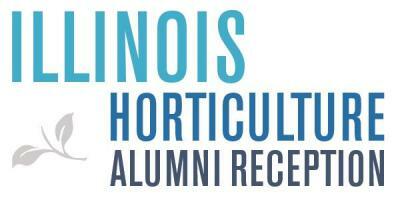 FAA and other Illinois alumni are welcome! No Charge. Light hors d'oeuvres will be served. Cash bar. 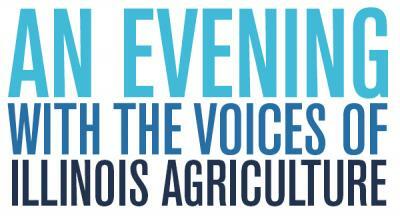 This special event is sponsored by the U of I Department of Crop Sciences and the Chicago Illini Center. On December 6, four board members were recognized for their outstanding leadership to the ACES Alumni Association Board of Directors as they have completed their terms. All four board members have served on the board since 2006. Ken Hayse, B.S. '82 Ag Econ, served as the District 8 Director from Mt. Vernon, IL. Leo Kelly, B.S. '80 Ornamental Horticulture, served as the District 2 Director from Palatine, IL. Carl Quanstrom, B.S. '71 Ornamental Horticulture, served as the Horticulture Director until the program merged with the Department of Crop Sciences from New Lenox, IL. Curt Rincker, B.S. '77, M.S. '83 Ag Education, served as the Animal Sciences Vocational Director from Shelbyville, IL. We thank each of them for their outstanding contributions to the College, University and ACES Alumni Association. We look forward to keeping them all involved as members of the Round Barn Society! 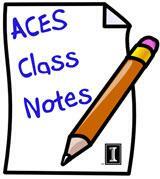 The ACES Alumni Board of Directors welcomes three new members to the board. These members were elected during the ACES Alumni Association board meeting after a national search on December 6, 2013. District 2 Director – Kim Morton – Kim is a 1982 graduate of Agricultural and Consumer Economics and lives in Chicago, IL. District 4 Director – David Brown - David is a 1988 graduate of Agricultural and Consumer Economics and is currently the Vice President of Global Commodities, Mondelez International and lives in Naperville, IL. Animal Sciences Vocational Director - Lee Denzer - Lee received his Bachelors in 1982 and Masters in 1985 from the University of Illinois in Animal Sciences. He is employed as a professor at Black Hawk College in Kewanee, IL. 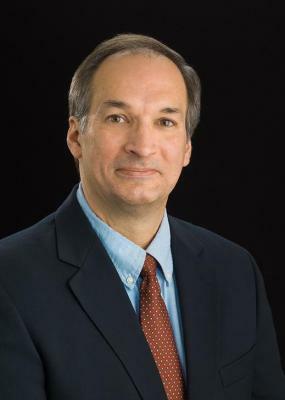 Food, Science & Human Nutrition Vocational Director - David Wengerhoff - David is a graduate from Food, Science and Human Nutrition in 1976 from the University of Illinois. He is currently employed by Diageo as a Senior Vice President and lives in Buffalo Grove, IL. Crop Sciences Vocational Director - Molly Cline - Molly received her Masters in 1978 and PH.D. in 1980 in Plant Pathology at the University of Illinois. Molly is retired from Monsanto and served as the Senior Director of Global Industry Affairs. Molly lives in Saint Louis, MO. The College of ACES welcomes Dr. George Czapar as the new Associate Dean and Director, University of Illinois Extension and Outreach. Dr. Czapar received his B.S. (1980) and M.S. (1982) in Agronomy at the University of Illinois, and his Ph.D. in Agronomy in 1990 at Iowa State University. During the 1980's George was in the Extension Service of Iowa and Illinois, working in the areas of integrated pest management and weed science. From 1991-2010, he was an Extension Educator in Springfield, and during the past three years George has served as Director, Center for Watershed Science, Illinois State Water Survey, Prairie Research Institute, U of I.
George's research and extension program has been defined by collaborative interdisciplinary projects that address the environmental impacts of agriculture. He has published widely on best management practices to reduce pesticide, sediment, and nutrient losses from agriculture. While serving at the University of Illinois in Extension positions, George has also sought out opportunities to develop and teach classes in the Campus Honors Program, in NRES, and in the off-campus graduate program. George brings to this position a deep understanding of Extension's mission and value, along with an exceptional research and teaching record. The College and the University are pleased and fortunate that Dr. Czapar will be using his creativity, academic breadth, administrative experience, and industriousness to guide Extension as our new Associate Dean. 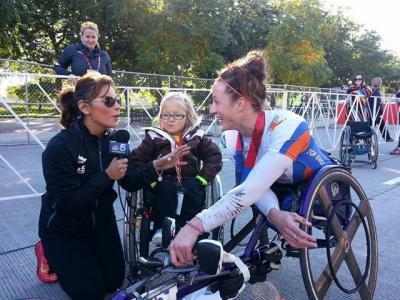 University of Illinois student and wheelchair athlete Tatyana McFadden not only won the Chicago Marathon on October 13, but also set a record in doing so. She knocked almost two minutes off the 21-year-old course record set by Ann Cody (an alumna of the University of Illinois and the Division of Disability Resources and Educational Services' adapted athletics program). McFadden adds her Chicago victory to wins in Boston and London earlier this year and hopes to complete a "grand slam" by winning the New York City Marathon on November 3. After the Chicago race, McFadden said, ""It really came down to a sprint. I didn't even know what was happening. My muscle memory was there and I knew I needed to go. The crowd just took me forward. It was extremely tough." She credits her teammates in the DRES wheelchair track program and coach Adam Bleakney with pushing her to succeed. The first woman to win six world titles at a single International Paralympic Committee Athletics World Championship, Tatyana already has identified her post-marathon season goal: making the U.S. cross-country skiing team for the 2014 Winter Paralympics. The University of Illinois announced it has achieved the $2 million fund raising goal for the Dr. James F. Evans Endowment in Agricultural Communications that will extend the contributions of the program into the future. It will provide sustained leadership in a mission of agricultural and food systems communications education, research, and service. The ACES Field and Furrow group hosted a reunion during Homecoming weekend on Friday, October 25 at the ACES Library, Information and Alumni Center. Alumni had the opportunity to tour Turner Hall and see the updates to the classrooms and soils labs that are part of the Turner Hall Project. A program and dinner followed. To view more about the project visit the Turner Hall Project website. Special thanks to Larry Hageman for hosting the event. 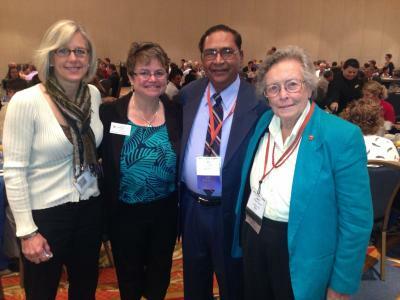 Dr. Bir Bahadur Singh (MS '65; PhD '67) was honored with the International Service in Crop Science Award at the Crop Science Society of America (CSSA) Annual Meeting in Tampa, Florida November 6, 2013. Dr. Singh presented the CSSA Plenary Lecture (the Betty Klepper Endowed Lectureship), speaking on the topic "Global Food Security in the 21st Century: Challenges and Opportunities for Crop Scientists." Congratulations to these outstanding ACES students!! The University of Illinois College of Agricultural, Consumer and Environmental Sciences received at five-year $25 million federal grant to lead a research team in improving Africa's food supply through soybean production by leading a research team. Have you connected to your alumni network? Looking for a friend from college? Know where the closest Illini Club is near you? Looking for alumni or campus news? Check out the UI Alumni Network - www.uialumninetwork.org/index.html. A great resource for you to stay connected with your alma mater or reconnect with Illini friends!